Trim Acoustics was established over 30 years ago. 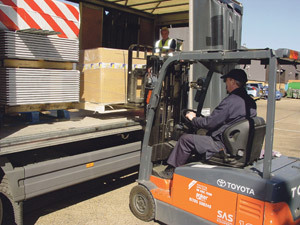 Based in Huntingdon, Cambridgeshire, the company specialise in distributing acoustic material for some of the UK’s biggest manufacturers such as Sound Reduction Systems and H&H Acoustic Technologies. The company are pleased to say that they have technical reps UK-wide and they have developed their own range of acoustic product suitable for floors, ceilings and walls which are available nationwide. The company provide products for residential, commercial and industrial use. Trim Acoustics have a full range of products to fit all applications, which have all been tested to meet Building Regulations Document E and the company provides full technical back up UK wide through their team of reps. The most recent product to join the Trim Acoustics range is their Resound Board. It has a composite design and has the ability to reduce sound resonance through wall and ceiling constructions, which have the overall result of reducing both airborne and impact noise. Customer service is at the forefront of the business. Trim Acoustics proudly boast their loyal customers and clients that range from small, independent companies all the way to some of the renowned construction companies in the UK. This entry was posted in Building Update and tagged Acoustics, Sound Reduction. Bookmark the permalink.